President of Energoatom, Ukrainian nuclear power plant operator, Yury Nedashkovsky has confirmed during his 10-day visit to the U.S. the progress in Holtec International's preparations to build a Central Spent Fuel Storage Facility (CSFSF) at the site of the Chornobyl nuclear power plant in Ukraine, according to World Nuclear News. The CSFSF will be a dry storage facility in which the used fuel will be stored in double-walled stainless steel canisters. The facility will mean Ukraine will no longer have to spend $200 million each year on its arrangement with Russia to transport and reprocess used nuclear fuel, WNN reports. In an Energoatom statement, Nedashkovsky said the trip had confirmed the high quality of Holtec's production base and its ability to transfer that expertise to the CSFSF project. He noted that the facility will store used nuclear fuel from three Ukrainian nuclear power plants in Khmelnitsky, Rivne and Yuzhnoukrainsk. "We're very pleased with what we saw. The quality of the individual items of equipment that have already been manufactured by the American specialists for our order convincingly demonstrates that Ukraine will receive one of the most modern and safest storage facilities for used nuclear fuel in the world," he said. EnergoAtom and Holtec signed a contract for construction of the CSFSF in 2004, but the project was repeatedly stalled owing to changes to the political situation in Ukraine. Work on the project resumed in 2014. In January 2016, EnergoAtom and Holtec signed an amendment to the contract to build the CSFSF at the Chornobyl nuclear power plant and supply used nuclear fuel dry cask storage systems. 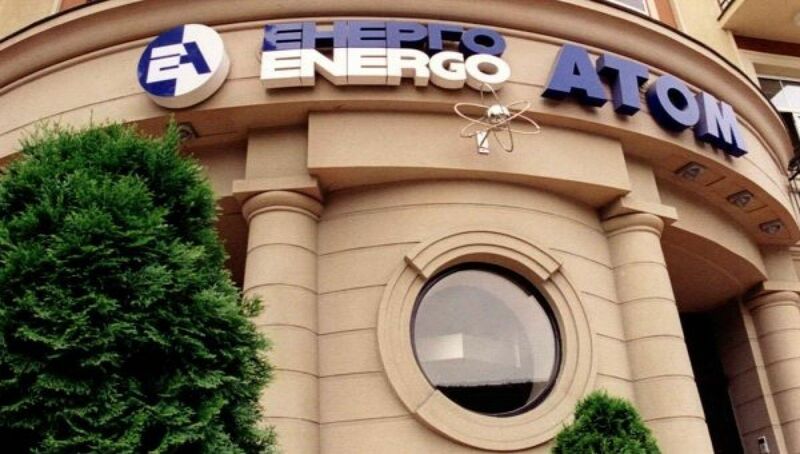 Read alsoEnergy sector to be plugged in reformThe amendment means that EnergoAtom is responsible for the civil design and construction of the facility, while Holtec is responsible for the design and supply of used nuclear fuel dry storage, transport and related equipment. The equipment will be delivered by the end of 2020, with the "key developmental stage" set as 2015-2017. During this period, the design and construction of the storage facility will be completed, Holtec's equipment and technology will be installed and the CSFSF will be commissioned. Holtec will supply 94 used nuclear fuel storage systems for the facility. Read alsoEnergoatom boosts revenue from electricity sales by 21% in four monthsIn October 2015, EnergoAtom announced that the technology for the production of dry storage casks for used nuclear fuel will be transferred by Holtec International to Ukraine's Turboatom under a memorandum of understanding signed by the two companies and EnergoAtom. The agreement acknowledges the transfer of technologies for the manufacture of Holtec's HI-STORM used fuel storage casks to Turboatom. The projected cost of Turboatom's services to Holtec could reach $200 million over the next ten years, including some $60 million for equipment for the CSFSF, EnergoAtom said. Holtec delivered the first batch of the casks to the Chernobyl site the following month.